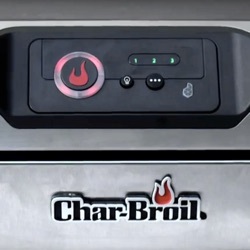 One of the most challenging but worthwhile projects of the past few months has been a new series of ads for Char-Broil Digital Smokers. Across four spots, we used a wide variety of style of music to help the ads come alive and highlight the comedy. This first spot, called Dad’s Day Out, uses four different cues within thirty seconds to accentuate each change of scene. The first is a mock epic trailer with big war drums, the second is a greasy rock piece, the third is a Beach Boys-esque driving song (carefully crafted to partially mirror the actor’s shout of joy), and the fourth cue is a sly jazz vibe with vibraphone flourishes. The second spot, called The Art of Smoking, takes a Masterpiece Theater approach to the opening, bursting into a dirty Southern rock vibe to take us to the punch lines. Both spots, as well as their corresponding 15-second versions, took a lot of work to get just right, as we experimented with many different styles and transition points and even adjusted through several edits of the video until things began to fall into place.